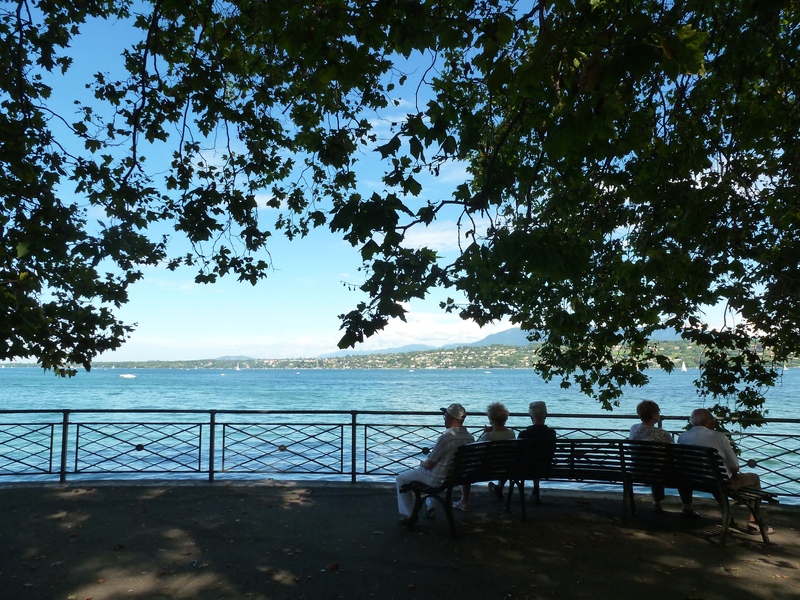 Geneva is located at the western tip of Switzerland built around Lake Geneva. It is the most populous city of Romandy, the French-speaking part of the predominantly German speaking country. En route from Milan to Geneva, I met a talkative college professor who informed me that Switzerland is also home to a variety of unique German dialects that, until recently, did not have a written language of their own. The mountain and valleys kept these unique dialects in tact; a fascinating piece of linguistic history coming from a country primarily known for banking, chocolate and multi-functional pocketknives. 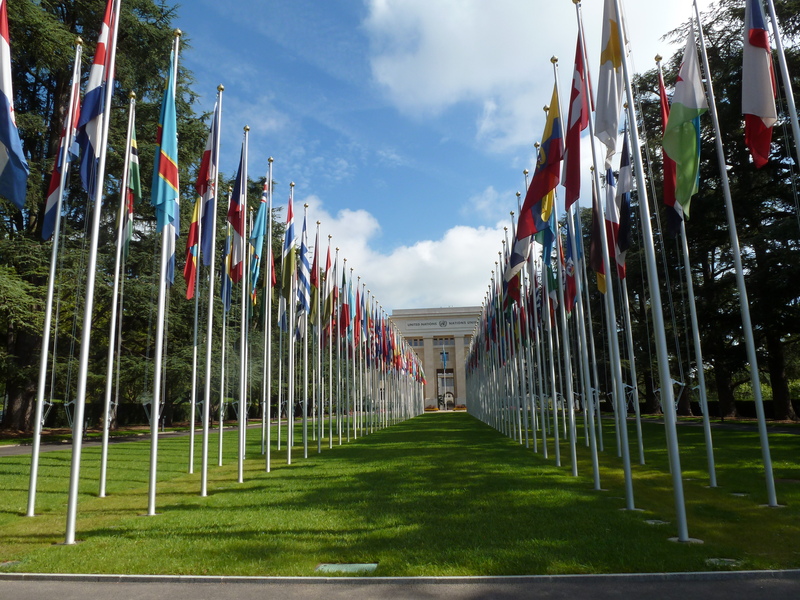 Geneva is also home to the UN, located in Palais des Nations (Palace of Nations) located near the League of Nations after the First World War. This international hub cultivates a palpable importance within the city and having arrived directly from Milan, Geneva seemed to rise from the lake as a respire from the Italian city’s obsession with fashion and power. I spent four days with my friend Sandeep, a current UN intern, who I had met years ago while interning in Washington, D.C. He surprised me at the train station and brought me to La Terrasse, a popular lakeside bar, for a drink while he finished up with work. Thursday was the last week of Fêtes de Genève, a month long summer festival, and we walked past amusement rides and food stands selling crepes, sandwiches and ice cream. During the day, children waited in line to try their luck at one of the many carnival games while at night the streets were crowded with young adults in their teens and twenties who flocked to the lake for live music and DJ beats. 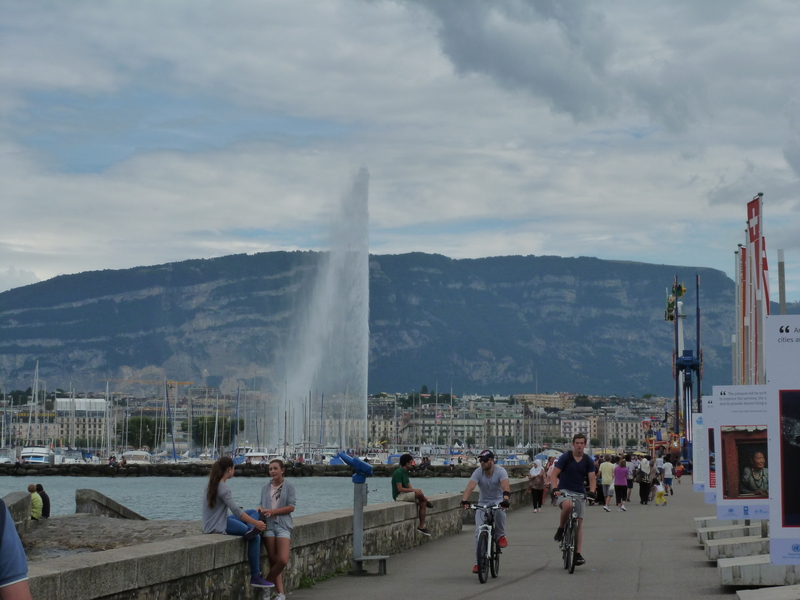 From my seat at La Terrace, I could see the Jet de L’eau, a large fountain and one of the main tourist attractions in the city, shoot a plume of water high into the air (459 ft), arching in a white mist as it fell back to earth against the serene backdrop of the French Alps. I sipped my beer as the moored boats rocked along the shore. In the evening, we stopped for some picnic supplies and walked to the park for the outdoor showing of Invictus, another free event as part of Fêtes de Genève. I met a variety of interns who work in various departments of the UN. These young intelligent students came from all over the world but shared a unified passion for a better and more peaceful world. Many were focused in human rights and international work, having recently come from the academic background of law. And so, it was fitting after meeting each of these individuals, that I started my Friday with a guided tour of the UN headquarters. The tour guide provided a wealth of information including the historical relevance of the original League of Nations and impact of the UN entity in the world today. After perusing the bookstore and sending my first postcards, I wandered down to the beautiful Jardin Botanique, part of surrounding grounds known as the Cultural Trails*. The greenhouses were exquisite and each pond, rock and palm tree was meticulously planted and cared for. I walked along the water stopping to take pictures, sit in the shade and read in the grass. I stopped once to watch a group of older men and woman sitting on a bench watching the water. They seemed so peaceful silhouetted against the lake’s blue water. I imagined them as young Swiss couples, laying in the grass and falling in love. These five strangers completed a feeling of peace and tranquility I couldn’t describe in any other way (picture to follow).